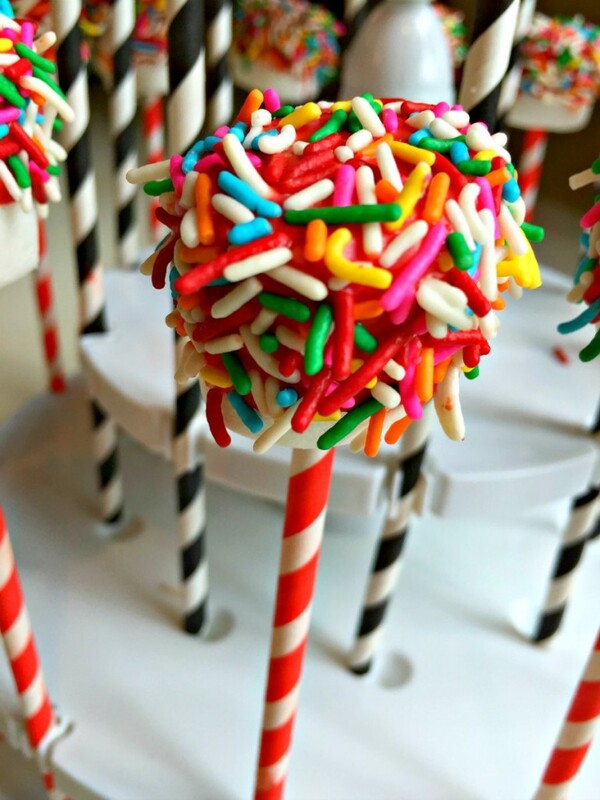 Over the last few years cake pops have becoming the hottest party treat. 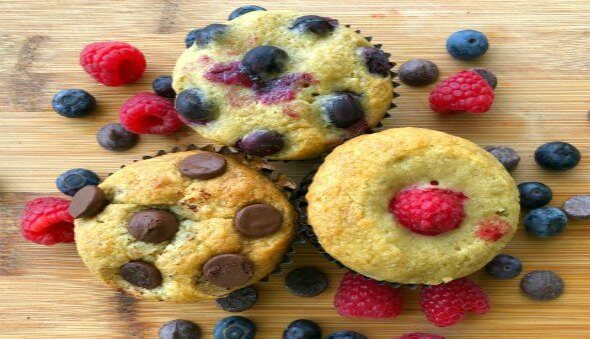 They look awesome and taste yummy too, but there is just one problem – they take a lot of time and effort to make. Don’t worry, there is another alternative that looks just as cool and is super easy to make – Marshmallow Pops!! 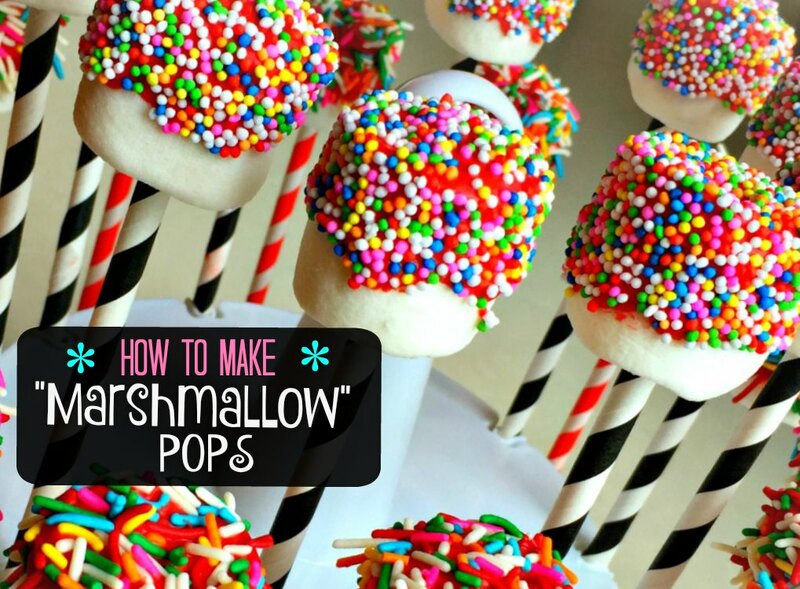 Marshmallow pops require absolutely NO BAKING and require very little skill. 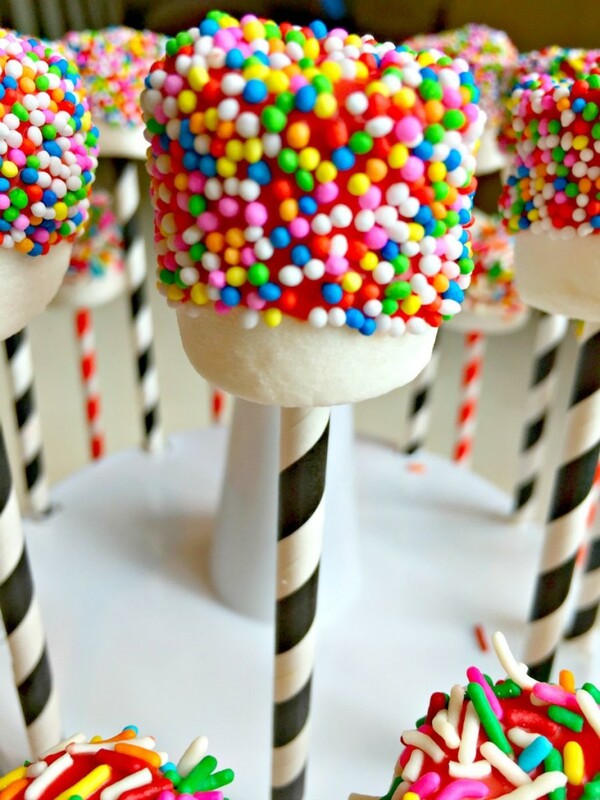 Marshmallow pops are very quick and simple to make. 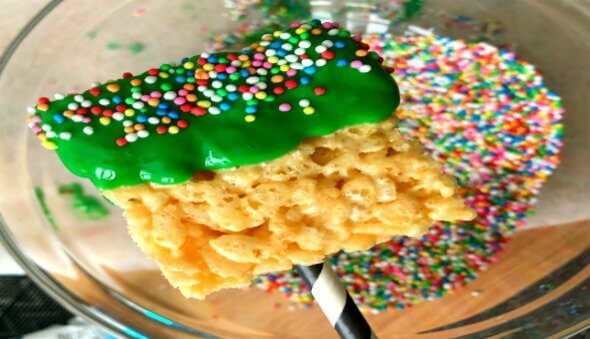 This delicious treat is just a matter of assembling certain items in a decorative fashion. 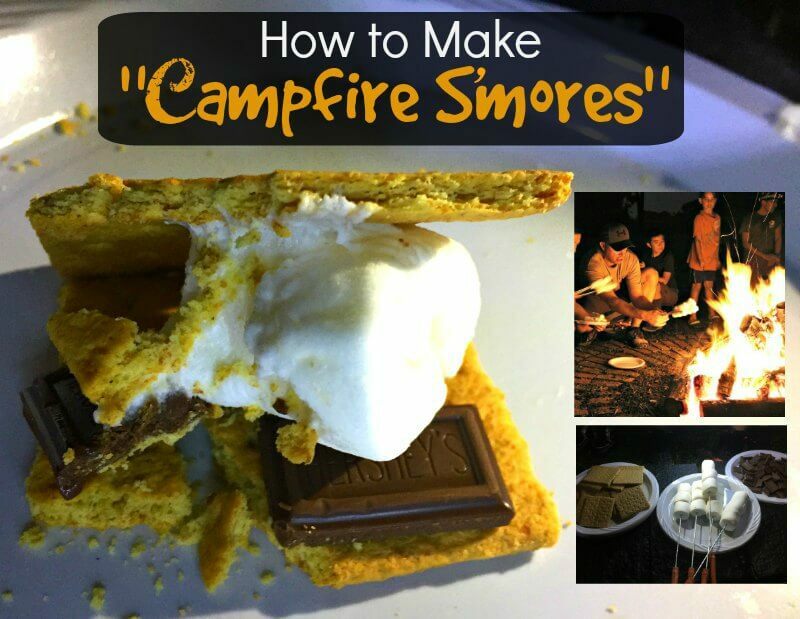 Let me show you how easy they are to make. 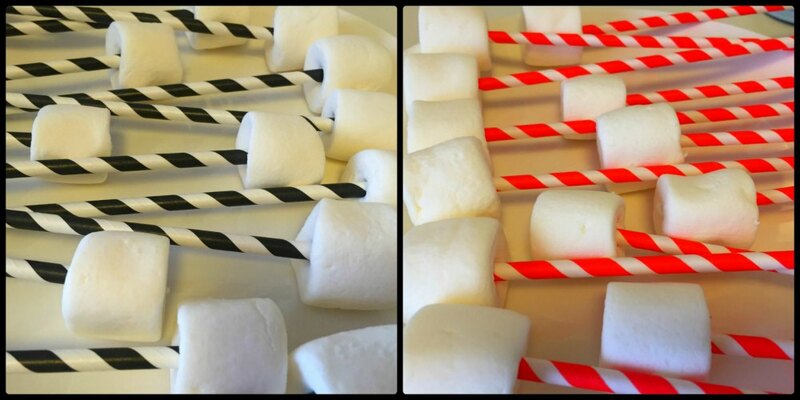 Push the straw into the marshmallow. Set this aside. Heat up 1/3 the bag of candy melts. It is better to only heat up what you think you will use. Follow the directions on the candy melt packet. There are various methods you can use. Super Note: I melted my candy melts in the microwave. Since I live in Singapore and it hot year round, the candy melts were already melting in the bag even prior to my heating them up. I melted it for 30 seconds on defrost. 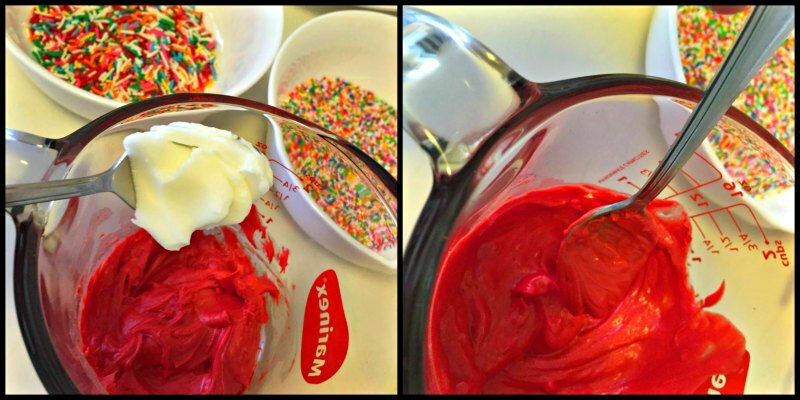 Add approximately 1/2 a tablespoon shortening to the candy melts. The amount of shortening you add will depend on the amount of candy melts you heat up. 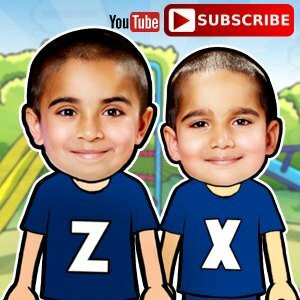 This will help achieve a smooth consistency. Super Note: After mixing in the candy melts I added in the shortening and checked the consistency. If it is still not smooth, heat it up again for a few more seconds and stir. 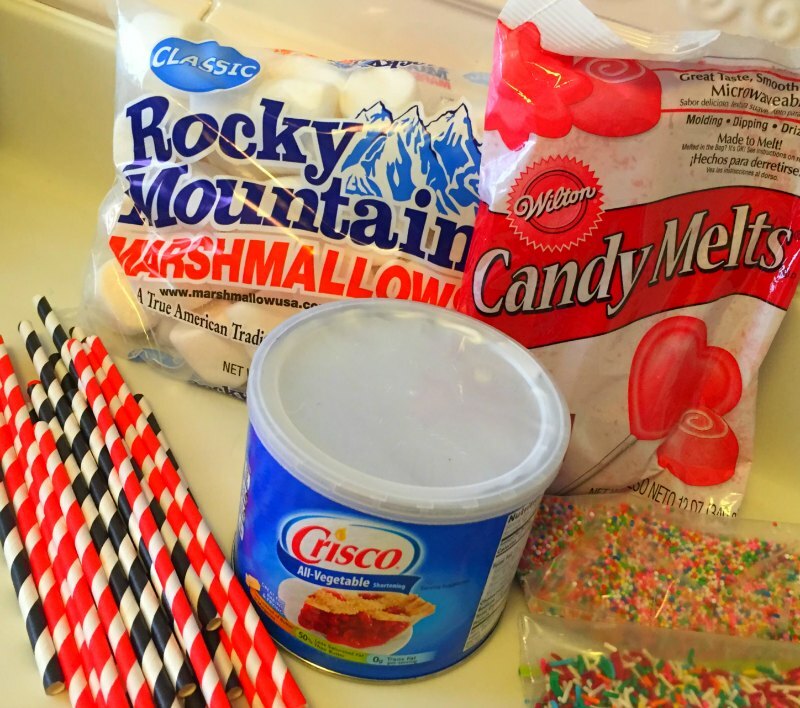 Dip the marshmallow into the candy melt. 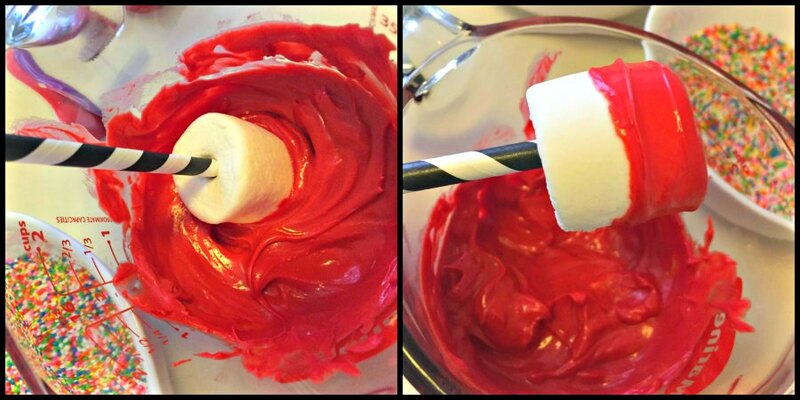 Use the back of a spoon to get the candy to evenly wrap around. Super Note: You can decide how much of the marshmallow you want to dip. 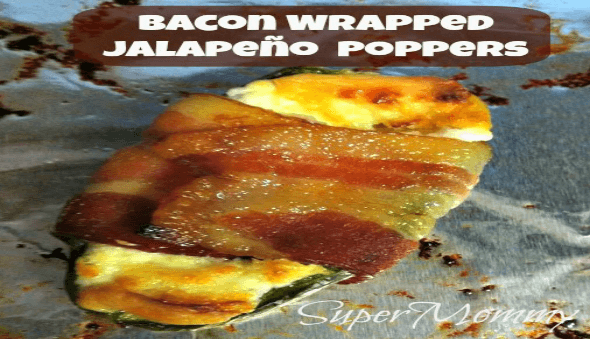 I only dipped half, but dipping the whole thing also looks awesome! 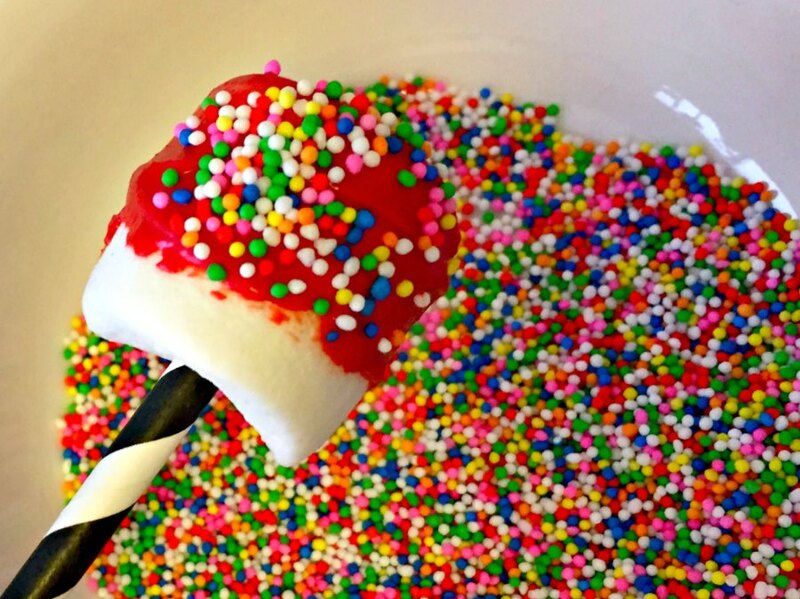 Use your fingers or a spoon to evenly distribute the sprinkles over the candy coated marshmallows. Super Note: Don’t feel restricted to one type of coating. 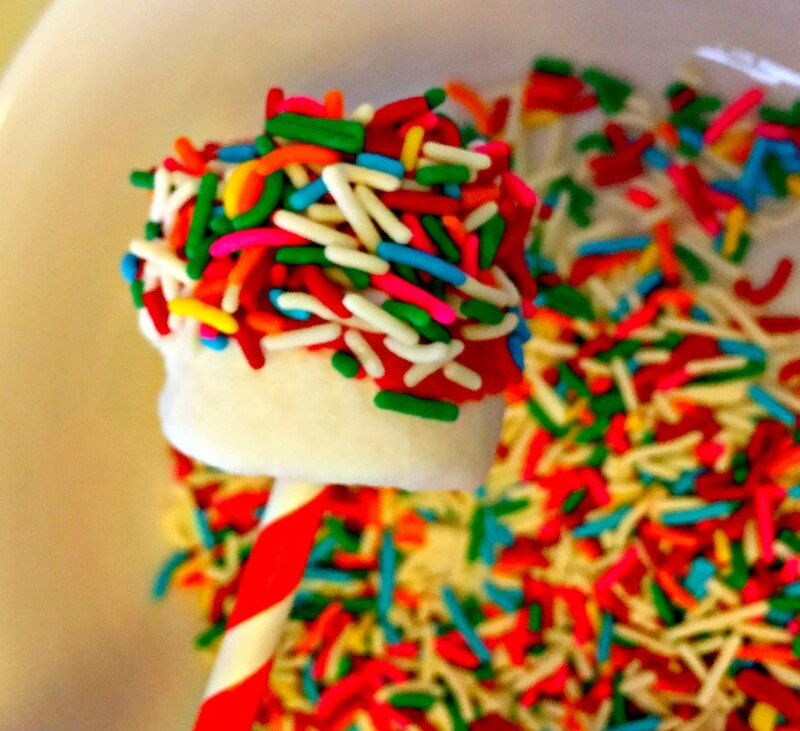 Feel free to get creative by using different sprinkles, candy melt colors and colored straws. 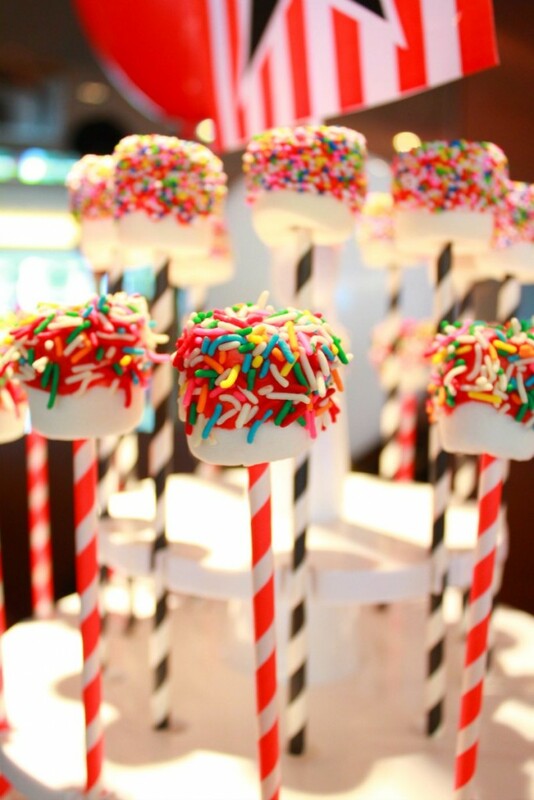 Stand the marshmallow pop upright to dry. Super Tip: If you don’t have a cake pop stand, you can use a tall glass to allow the marshmallow pops to dry – just make sure they do not touch each other. 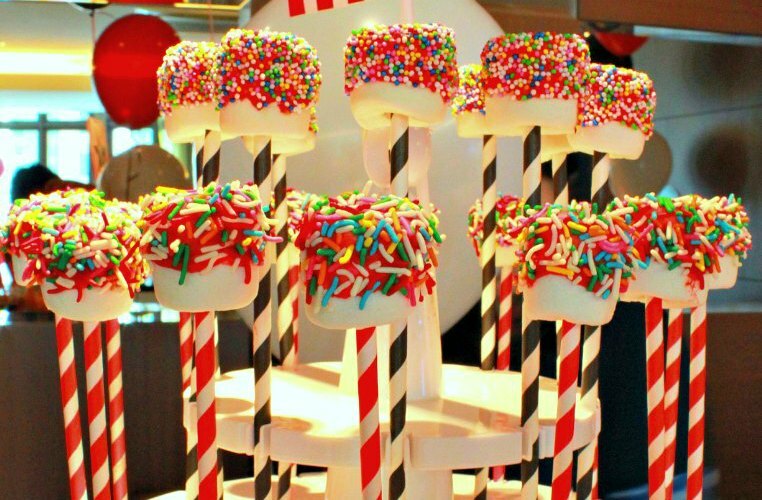 Display or individually wrap the marshmallow pops! 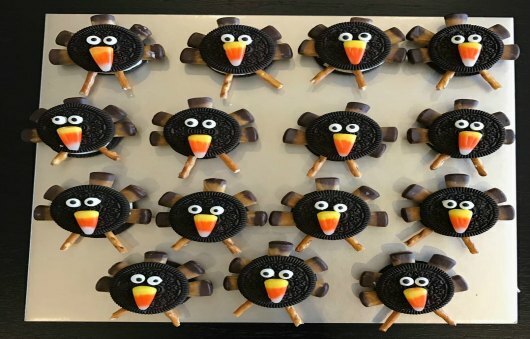 Display: These look great on a cake pop stand, on a platter, on a candy table or as an individual place setting. 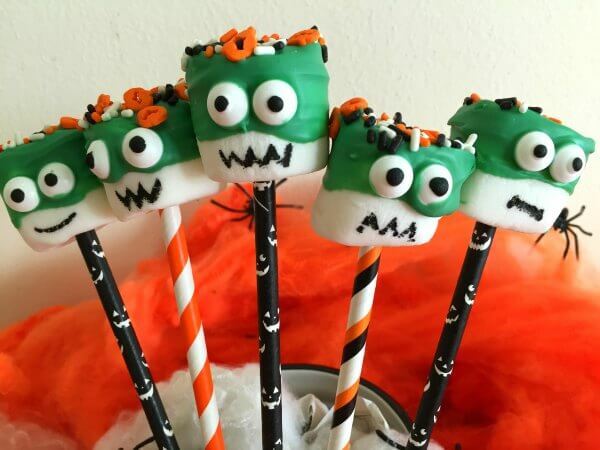 Wrap: You can wrap each marshmallow pop individually in small clear bags and tie a bow. They should last at least 3-5 days. 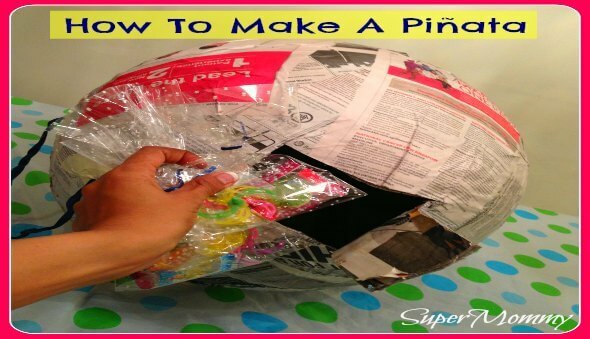 This is great for goodie bags. 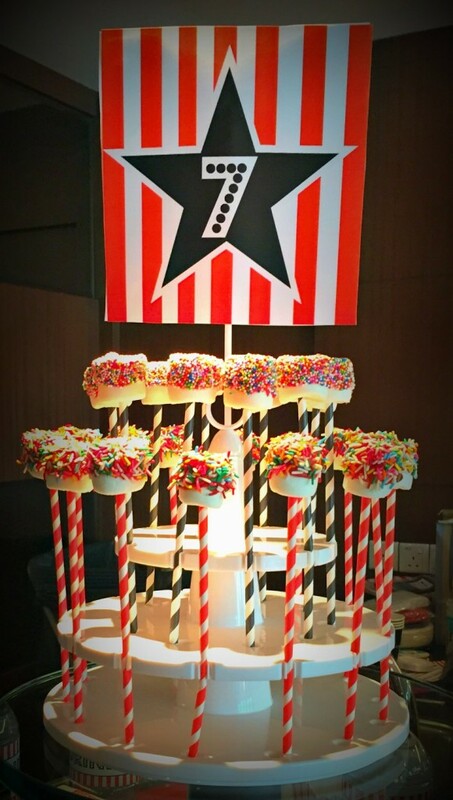 Super Note: The kids did not eat these marshmallow pops at the party because there were way too many other treats. 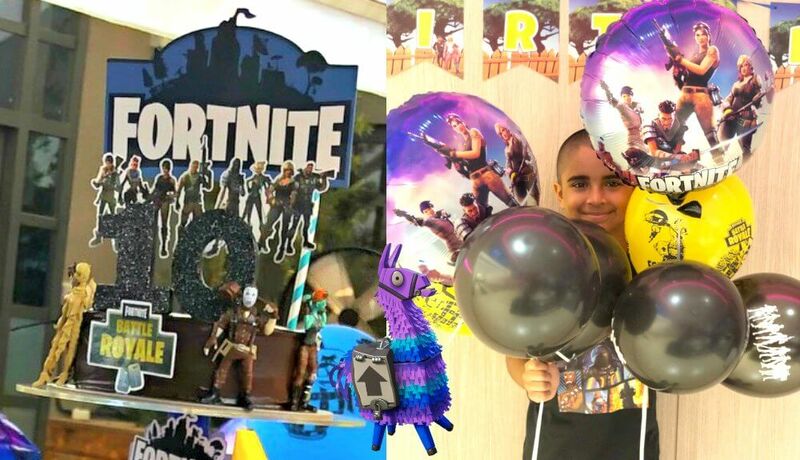 Instead towards the end of the party, we wrapped them in mini-bags and passed them out with the goodie bags at the end.